With a name like Magan, my parents had set me up to be the punchline of the most ridiculous joke ever to happen to anyone living or braindead: that lame advert about some vegetable oil (this was before the era of Omega-3s et al) where the tagline went… waitaminute! Why am I even bothering. 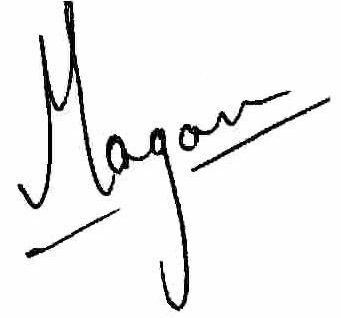 Suffice to say that, the word Magan always evokes Gagan followed by the “joke”. Going to a restaurant called Gaggan (Praise the Lord for the extra ‘n’) would then be too quirky, even for me. But there I was, this white, white place; clean lines, lots of wood and cane, calming ambience, relaxing, nothing unnervingly fine dining about it, and yet, a sense of firm yet gently controlled pre-plated service. I ordered the tasting menu, which comes at three ‘levels’ – different pricings, starting at 1600 Baht, and with each level the meats can get more precious.They said it was for special needs but wipe that grin off your face – just because one happens to be in Thailand, ‘special needs’ doesn’t take on any implied sort of a meaning. The rest of the menu itself appears simple, a plain black print on A4 white stapled together. the restaurant isn’t under gastronomic transit, it is merely cyclic, and frequently updated, one would guess. The food, in order of appearance. Inedit beer. A beer specially crafted by THE Ferran Adria, for pairing with food, and boy did it work well. Served in White wine glasses, it was a cracker of a drink, with its deep malty-orangy flavours, hints of coriander too, and yet light with a gentle yet consistent fizz. Left Across, 5 letters, begins with a salad and ends with yummy! Yoghurt explosion: A sweet n’ sour little amuse-bouche. Good ol’ school molecular applications. Umami oysters with lemon foam. Fresh. Clean. Nothing exactly Indian really but I don’t ask questions at the eating end of a good fresh oyster. Mixed salad. Looked nothing like a salad. It looked so healthy in fact that it made regular salad look like a McCalorie. Carrot n beetroot leaves, Peruvian (miniature) cucumber. Lovely flavourful creamy dressing. The long plate was suitable as the range of flavours seemed to flow as one worked across the range of the carefully juxtaposed vegetable “leaves”. Foie Gras Three-ways. Powdered (white) , with raspberry n powdered, and finished in a pan (poële). Very enjoyable but about as Indian as Russell Peters. Sorry, I meant Peter Sellers. And not in that movie ‘The Party’; that was good. This can pose a serious threat to Arcachon...! Oyster leaf. Very curious. The chef decides that we are obviously the kind who are in for an experimental for the greater good, (just as long as it doesn’t add to my bill) and a leaf was put before me; Man! It did taste like oysters! Well played. Pomegranate drop in the middle made for a nice contrast but it was the minerality that truly lingered. Straight from a nitrogen tank...! Piña Colada. Served frozen. Interesting sorbet, but I ain’t even eaten yet. Show Pony gastronomy. Double-cooked pork with orange pasta, date and tamarind sauce. Now we talking. Great food, lovely balanced presentation, i lap it all up once the server tells me that, barring the plate, I can eat it all. Texture of orange pasta is chemical-jelly like so i let that go back with the plate, much to the concern of the server. Slow (55 degree) cooked egg (1.5 hrs) with moily sauce. Beret-shaped plate. This right here is where the director of the evening, the chef, decides to show us that this isn’t even started yet. Up until now, he was merely warming up. This here, is a winner. In retrospect, it was perhaps my favourite course of the meal. Ravioli (redskin) potatoes, with paneer and black truffles, and green pea sauce. Lovely little pasts-esque course. The potato is crisp and fresh, crunchy btu not the fried kind, more the al dente kind, and the paneer gooey soft at the core of each roll. Truffles and peas work well together. The chef heightens the intensity. Chicken Sukka on a crispy garlic naan…India is here. Familiar flavours, innovative presentation. Balanced, true-to-original, and yet, remodelled. You lika Chicken Sukka huh!? Mushrooms, Indian style. Anything ‘Indian style’ soundsmore like a warning and less inviting, like say, à la Française, or alla Italiana. Morels and chanterelles, and others, tossed in Indian spices with streaks of asparagus. Creamy and peppery. Mutton and fish maincourses came with naan. The first and only course with bread. Lovely mutton curry. Simple n’ honest. Soft naans. No more molecular. Good mix of the contemporary and the classics. Chocolate, dark and white, with ice cream. There was a lovely dark flower (as also the stemmy and leafy green parts) for garnish as also flavour contrast. Intriguing mix, well matched. In the end, I was pleasantly surprised and definitely content. In fact, I was just perfectly well-fed; the meal was balanced in every sense. In the beginning I had started to feel a bit concern when big plates with intricately placed tidbits kept coming in quick succession – were these the 10-course I was paying for?? – but in the end, i was left happy in all respects. No, I didn’t request for the menu with ‘special needs’…! Food was quite sinusoidal here: there were both highs and, well, let’s label them not-so-highs; there weren’t any lows really. Meats interlaced with the vegetarian, moments of crescendos and calandos, all well-timed and suitably executed. As an afterthought, it is easy to see why this may have been intentional: to both elevate and satiate hunger. A great trick to hold interest and keep the curiosity lingering. The chef, an IHM Trivandrum graduate, has also done time at El Bulli, the good kinda’ ‘doing time’, learning stuff, honing skills, et al. The result, shows, and tastes for itself. At points I did feel as if the chef was trying too hard to impress me but it passed as the serious Indian courses came on reassuring the diner in me that classics needn’t be messed with and that sort of respect when imparted to recipes seeped in history shows maturity on the part of the chef. As Juan-Mari Arzak, the famous Spanish chef told me, “If you are not going to improve it, leave it untouched.” Gaggan reproduces with utter clarity and precision and doesn’t need improving, or proving. Great meal, great place, great prices, great service; do reserve a seat for yourself when in Bangkok. How I secretly wish they change their name in the future or else I just might; call myself something else the next time I go, just so to not have “Khao Gagan, Raho Magan” ring incessantly in my ear as I try and savour the ever-changing tasting menu.